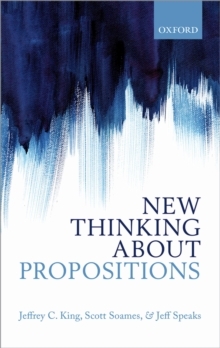 Belief in propositions has had a long and distinguished history in analytic philosophy. 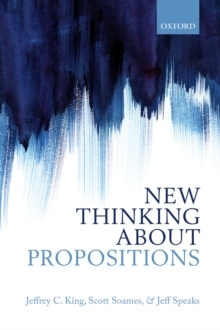 Three of the founding fathers of analytic philosophy, Gottlob Frege, Bertrand Russell, and G.
E. Moore, believed in propositions. Many philosophers since then have shared this belief; and the belief is widely, though certainly not universally, accepted among philosophers today. Among contemporary philosophers who believe in propositions, many, and perhaps even most, take them tobe structured entities with individuals, properties, and relations as constituents. For example, the proposition that Glenn loves Tracy has Glenn, the loving relation, and Tracy as constituents. What is it, then, that binds these constituents together and imposes structure on them? And if theproposition that Glenn loves Tracy is distinct from the proposition that Tracy loves Glenn yet both have the same constituents, what is about the way these constituents are structured or bound together that makes them two different propositions? 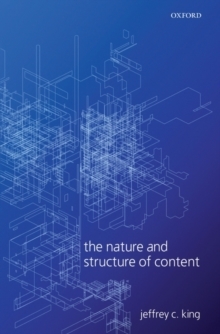 In The Nature and Structure of Content, Jeffrey C. King formulates a detailed account of the metaphysical nature of propositions, and provides fresh answers to the above questions. In addition to explaining what it is that binds together the constituents of structured propositions and imposes structure on them, King deals with some of the standard objections to accounts of propositions: he shows that there is no mystery about what propositions are; that given certain minimalassumptions, it follows that they exist; and that on his approach, we can see how and why propositions manage to have truth conditions and represent the world as being a certain way. 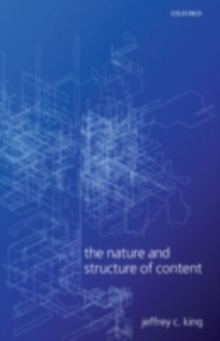 The Nature and Structure of Content also contains a detailed account of the nature of tense and modality, and provides a solution to theparadox of analysis. Scholars and students working in the philosophy of mind and language will find this book rewarding reading.